Below you can view all the homes for sale in the Congress Park subdivision located in Denver Colorado. Listings in Congress Park are updated daily from data we receive from the Denver multiple listing service. To learn more about any of these homes or to receive custom notifications when a new property is listed for sale in Congress Park, give us a call at 720-729-2320. Building offers a communal rooftop deck with exceptional views, locked basement storage units and an assigned off-street parking spot. MLS#9957834. Keller Williams Integrity Real Estate LLC. Roof top deck is terrific for views and friends when they come by. Off-street parking is a plus. MLS#7976404. COLDWELL BANKER DEVONSHIRE. Plumbing, electrical, boiler, furnaces, air conditioning and impact resistant roof all replaced and updated in 2015. MLS#6664940. Realty One Group Premier. Close to schools, restaurants, shopping, and local parks. MLS#8726111. HomeSmart Realty Group. Easy walk to Trader Joe’s, Snooze & other attractions on Colorado Blvd. MLS#7725311. Redfin Corporation. Showings begin with a “Happy Hour” Open House on Friday, April 19th from 3-6 pm. MLS#1690372. HomeSmart Cherry Creek. DO NOT miss out on the INCREDIBLE VALUE of this HOUSE in this NEIGHBORHOOD! MLS#9263633. Your Castle Real Estate Inc. This is a special one so don't delay your showing today! MLS#5710557. LIVE URBAN REAL ESTATE. Come enjoy city living at its best! MLS#4026959. Massey Real Estate Group LLC. Including Cherry Creek, Downtown, Trader Joe's, City Park, Nature & Science Museum, Wash Park, The Energy, The Walk-Ability, The Restaurants, The Shops,The Proximity to the Light Rail, are Just a Few of the Neighborhood Perks* MLS#8659483. ONE REALTY LLC. Get in now before the redevelopment at 9th and Colorado is complete! MLS#1812160. Compass - Denver. Community pool, sauna, close to Carla Madison Rec Center, Cheesman Park, Congress Park, City Park and Cherry Creek! MLS#4240452. Modern Real Estate. Close to shopping, restaurants, parks, trails, transit and more! MLS#6254821. 8z Real Estate. This house is as cute as can be. Motivated seller. MLS#6910660. 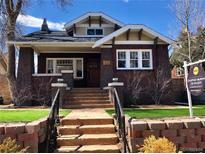 Brokers Guild-Cherry Creek Ltd..
Take a look at the photos, schedule a showing and come by your new home today! MLS#3942652. BSW Real Estate, LLC. Professionally landscaped lot with a dry laid brick patio and walkway, newer landscape lighting, sprinkler and lush trees, perennials/bushes - absolutely gorgeous! MLS#2026165. Addison & Maxwell. Easy access to the 9th and Colorado redevelopment as well as the shops on E 12th Ave and Cherry Creek North. MLS#7974228. Tremont Realty Group. Secure building has outdoor swimming pool for warm weather entertaining. Each floor has own washer/dryer. MLS#4741290. Kentwood Real Estate City Properties. 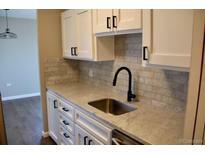 Master has walk-in closet and master bath is equipped with dual vanity, shower with custom listel, and separate tub. MLS#7828123. Thrive Real Estate Group. Easy access to public transportation with a short commute to downtown yet still close to DTC. Location and amenities are fantastic! MLS#7319083. Addison & Maxwell. **Seller represents never having used this feature, buyer to verify. MLS#5186562. Compass - Denver. Deeded carport spot in Congress Park! MLS#2958941. RE/MAX ALLIANCE. Come check it out this weekend. MLS#7707253. Porchlight Real Estate Group. Your Buyers Wont Be Disappointed With This Hot Holland House Gem! No Dogs. MLS#8000587. MB Pezzuti & Associates. Compare this house to anything in the price range and you will not be disappointed!! ! 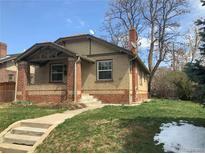 MLS#7099799. Thrive Real Estate Group.